A survey of 153 smart grid professionals across Europe, conducted by Phoenix Forums, reveals that 85% of respondents consider the implementation of IEC 61850 to be either ‘very important’ or ‘important’ to their organisational agenda. This focused conference brings many experts on IEC 61850 together and in particular many end users report about their experience with IEC 61850. I am really looking forward to learning about these experiences from all over Europe. A survey of 153 smart grid professionals across Europe, conducted by Phoenix Forums, reveals that 85% of respondents consider the implementation of IEC 61850 to be either ‘very important’ or ‘important’ to their organisational agenda. And whilst multi-vendor interoperability was considered the single most important benefit of embracing IEC 61850, it was also considered by far the biggest hurdle to achieving its effective implementation. 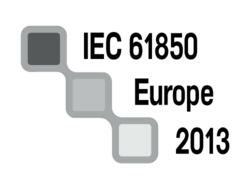 IEC 61850 Europe 2013 takes place 22-24 May 2013 in Prague. This one of a kind event is the only European conference, exhibition and networking forum to provide real-life, practical examples of IEC 61850 implementation within TSO and DSO environments. Over the two days of the main conference, 16 leading European utilities including National Grid, Enel, UK Power Networks, RTE, Red Eléctrica, Alliander, Elia, Elering and DONG Energy amongst others, will present practical case studies demonstrating their experiences of actual IEC 61850 implementations. Panel debates designed to open up dialogue between all the key stakeholders and ensure that future development of the IEC 61850 standard addresses user needs will feature presentations not only from the leading utilities, but also from tech leaders and industry experts including Siemens, Schneider Electric, Alstom Grid, DNV KEMA, it4Power and PAC World Magazine. An evening champagne roundtable session will provide a practical framework for real-life problem solving and brainstorming with the entire IEC 61850 community. All of this will be complemented by an adjoining exhibition area where delegates can view state of the art IEC 61850 products and solutions. As an additional benefit, a dedicated hands-on pre-conference workshop on The Fundamentals of IEC 61850, will take place on 22 May, providing a comprehensive overview of the protocol and its critical features and requirements. The workshop leader, Christoph Brunner, Convenor of IEC TC 57 WG 10, will explain the building blocks of IEC 61850 in an interactive learning environment designed to get attendees fully up to speed on all of the key complexities and latest developments. “We believe we have created a truly unique event for the IEC 61850 community. It is clear that everyone has heard the theory, but now is the time to start sharing the practical experiences of real-life implementation in the utility environment. This is the perfect benchmarking, buying and networking forum for anyone involved in implementing IEC 61850 and making the smart grid concept a practical reality. No matter what your implementation approach, whether piecemeal or whole systems, we have practical examples that will be relevant to you and your company, and will put you firmly on the path to leveraging the full benefits of IEC 61850,” says Rebecca Davison. Phoenix Forums is an independent conference producer specialised in the Energy and Environment sectors. We work hand in hand with engineering professionals to create innovative event concepts and high quality programmes that inform technical decision makers and enable them to deliver exceptional results. Our approach is entirely market led. We stay exceptionally close to industry developments. Through our regular, rigorous and unbiased process of depth interviews with key utilities, power producers, regulators, investors and solution providers we stay one step ahead of industry developments and provide live event platforms that act as a catalyst for new ideas, new directions, and new approaches to achieving future energy security.